If you're planning to buy Microsoft's Surface 2, retailer John Lewis has announced that it'll be selling the tablet with a two year guarantee for no extra cost. 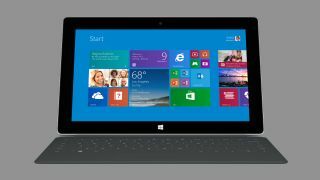 The Surface 2 (which features extra processing power, better battery life and a sharper display) is available for pre-order on the John Lewis website now. It will become available on 22 October. If you're feeling a case of déjà vu, John Lewis offered the same life-extending deal when the Surface RT launched one year ago. Focusing on tech deals paid off for the retailer in the company's full-year 2012 earnings report, which saw its Electricals and Home Technology (EHT) division grow sales 28.9% year-on-year. Our blips are guaranteed to take less than two years to read, so click here for more.